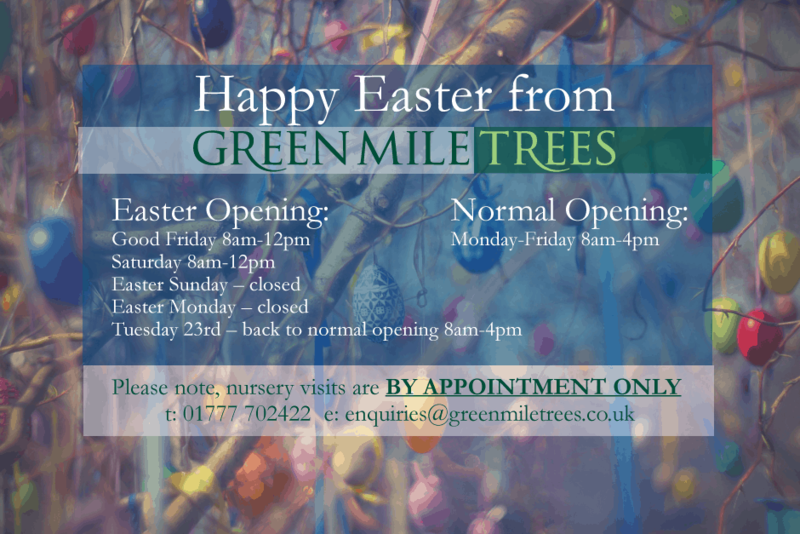 We’ll be here for part of the Easter weekend so we just wanted to confirm our opening hours. Please note however that we can only conduct visits that have been pre-arranged, so please ensure you have called prior to your visit to book your appointment with Paul or a member of the team. Ready for something big in 2018/2019? Riding on the back of a healthy growing season, the Green Mile Trees team is ready to take on all that this year’s lifting season may bring. 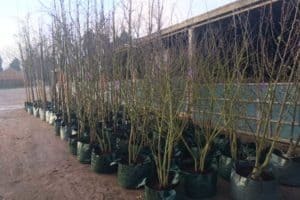 And that means we have a full stock list for your selection – mature trees, instant hedging, topiary, pleached trees – ready for landscape planting. 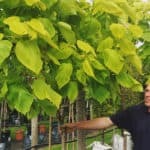 For the latest full stocklist – bare root and container trees – visit our Stocklist page. We’ll be keeping our subscribed trade customers informed by email too – if you want to stay in the loop, you can add your details here. 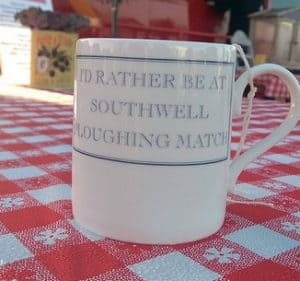 Yes, that time again and hopefully this year’s Southwell Ploughing Match and Show won’t be hampered by the weather (*sunshine, please!). 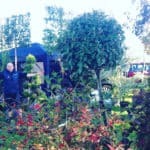 The Green Mile Trees team will be on hand with our mature trees, hedging and topiary on show for agricultural enthusiasts on Saturday 29 September 2018. If you’re interested in a veritable feast of agricultural excellence (with horses, ploughing matches and local food, crafts and shopping), join us and over 10,000 visitors at the end of the month. We are very honoured to say that we get a lot of lovely feedback from our wonderful customers. Subsequently, when the kind comments refer to individuals, we feel that we should share their achievements to a wider audience. We’re extremely proud of our hard working and knowledgeable staff and this recent email we received shows why. 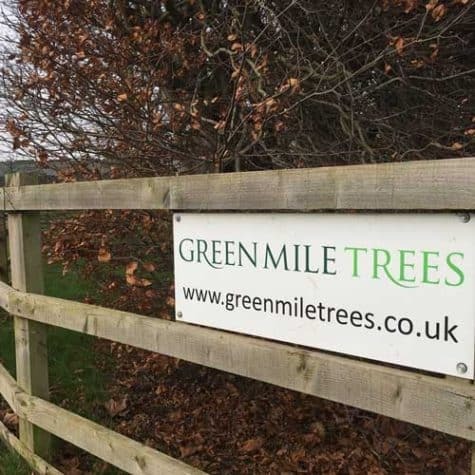 After searching the internet for mature trees, we decided on using your Company, being more local to our home. We made an appointment to visit your business and, on arrival, we were greeted by the most pleasant and obliging person. He could not have been more helpful. He introduced himself as Paul and we knew from his manner we had chosen the right Company. With his help, the trees were duly chosen. “The final chapter to the experience was when the trees arrived. The driver called Frazer was again tarred with the same brush, as he was the most helpful person you could ever wish for. His manner and personality was second to none – a rare commodity today. I am sending this email because I want your Company to know what brilliant staff they have and, it’s staff like this, that makes shopping a pleasant experience and obviously being the ambassadors to your firm, you can only get repeated business. 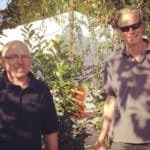 A big pat on the back for Paul and Fraser, and indeed all of our staff, for their continued efforts. As a company we believe in always doing our very best for our customers and are grateful for each and every order that we receive. Please take a look at some of the other great things that our customers have been kind enough to say about us in our what our customers say section. 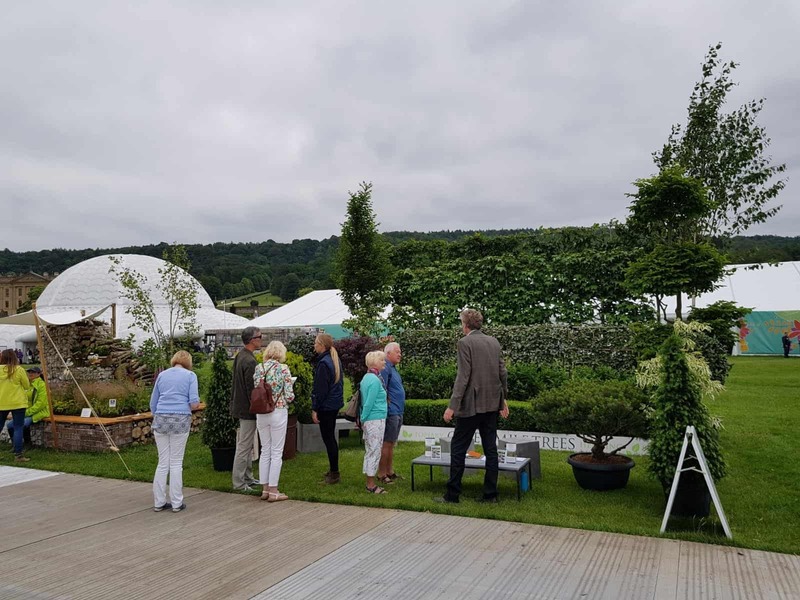 The excitement of exhibiting at RHS Chatsworth Flower Show hasn’t quite subsided yet, but we’re back at the nursery in Retford, Nottinghamshire and following up on all the interest we received from the Show. 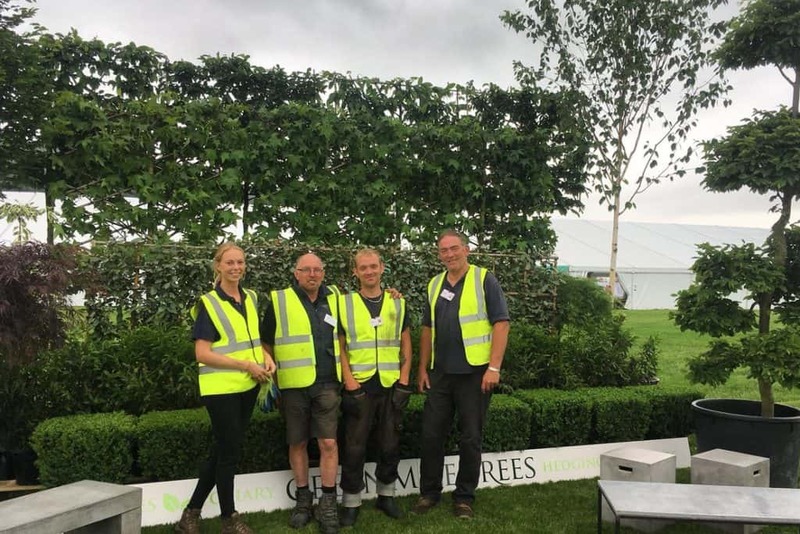 For all of those who visited us on the stand, we’d like to extend a big thank-you – we had so many fantastic comments about the stock, particularly the stunning pleached backdrop of Liquidambar, Eleagnus and Carpinus we created. We hope to see images of our trees in YOUR gardens and landscapes soon – please share your comments with us, either by email or on our Facebook page. 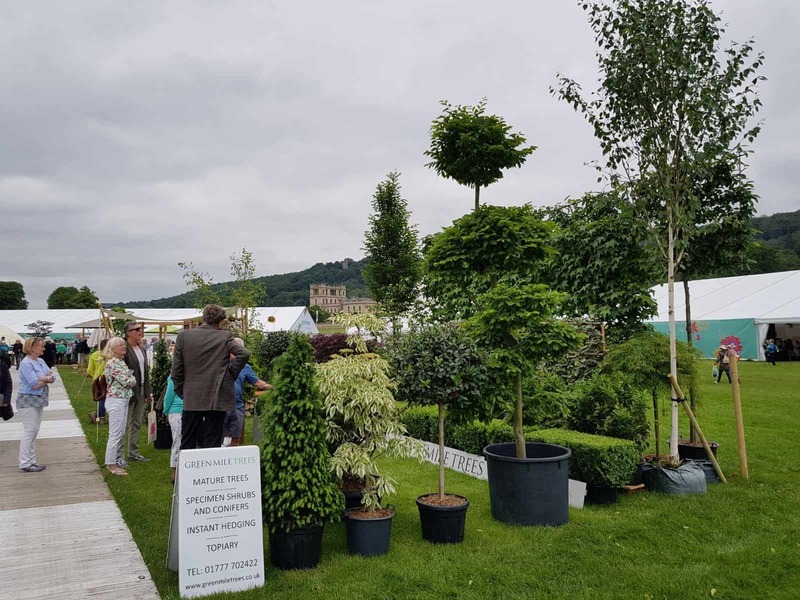 As we prepare for our display at the forthcoming RHS Chatsworth Flower Show which takes place from 6-10 June 2018, it’s always a dilemma to select which of our 50,000 trees to take with us. 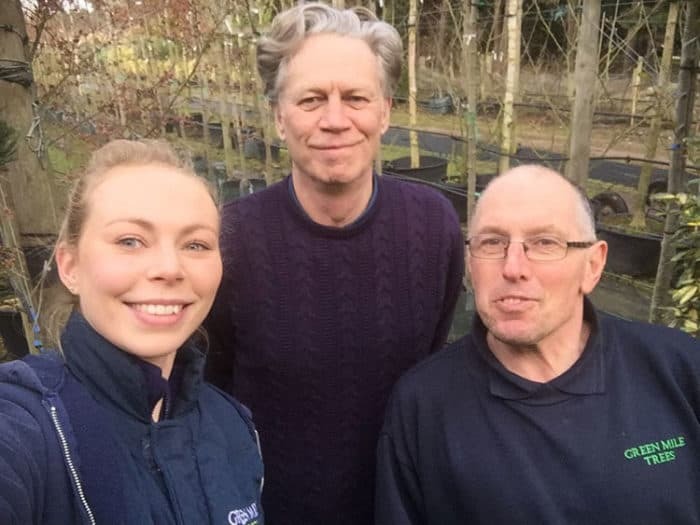 So this year, we thought we’d rustle up some aerial footage, taken from a drone, just so that we can show all the ones we have back in our North Nottinghamshire nursery. 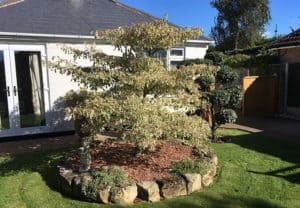 Trees, hedging, topiary, shrubs for screening, boundary or that statement impact – there’s the trees you need for your garden or landscape, right in the heart of the Midlands. Take a look – and come and see which ones made it onto our RHS Chatsworth Flower Show 2018 shortlist – we’ll be on Stand CHW/169 next week. 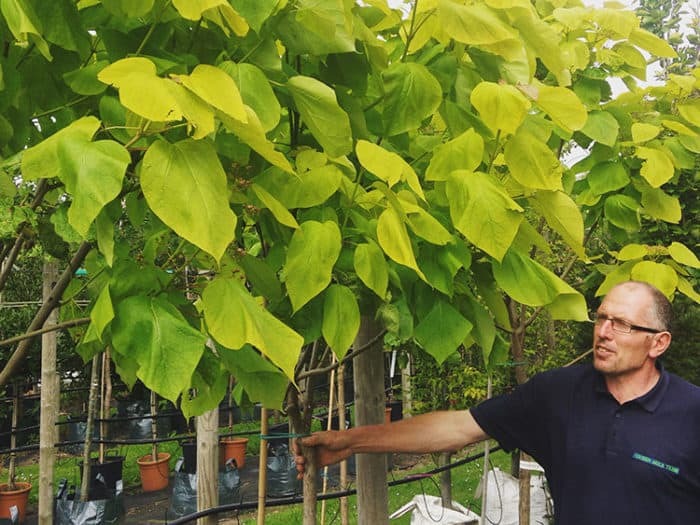 Whilst we know it is impressive to stand on the nursery, marvelling at lines and lines of superb large trees as far as the eye can see, you might not be able to picture the difference just one or two of these fine specimens might make in a finished garden or landscape. 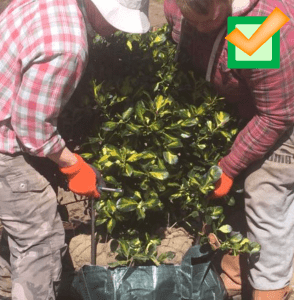 That’s why we’re sharing one of our latest collaborations – trees grown, selected and supplied by Green Mile Trees to one of our landscaper customers. 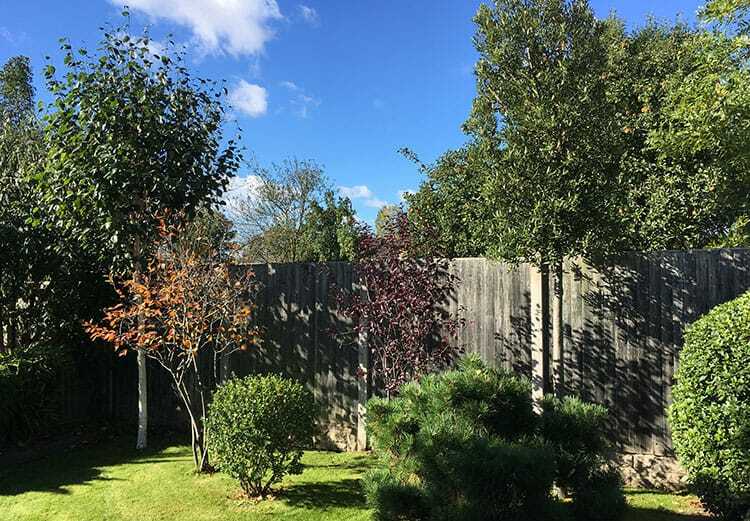 Create a screen, plant a boundary, make a statement – selecting and planting mature trees gives you the instant impact and quick establishment that you need for your clients. 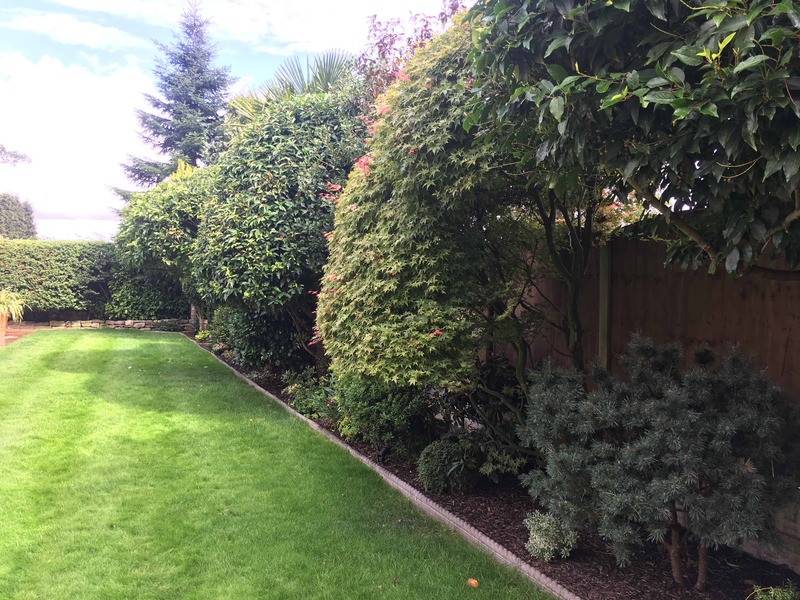 We work closely with a number of garden designers and landscapers. 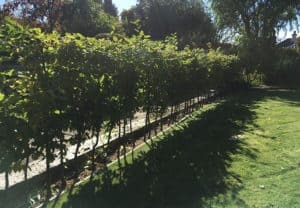 These photos show how a strong relationship between the landscape designer and grower can achieve great results. 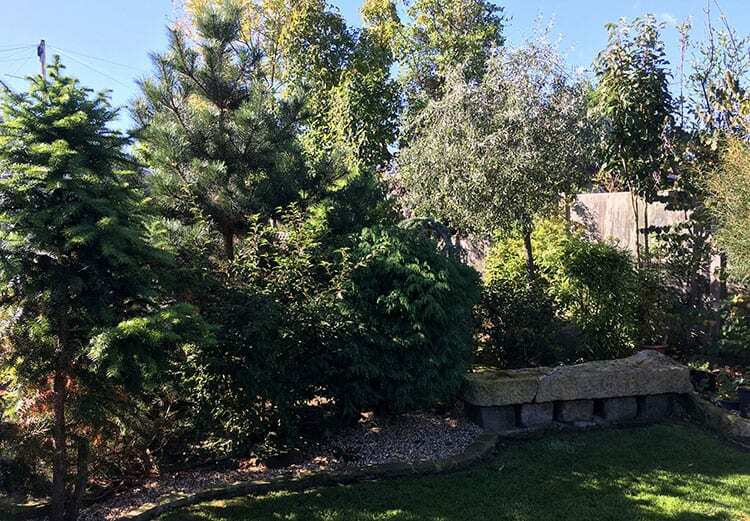 The majority of these plants and trees have been supplied by Green Mile Trees over the past 10 years – expertly maintained by one of our long-standing landscaper clients, All Year Ground. 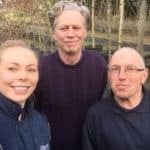 We have a great team behind us at Green Mile Trees, working for a long-established, professional family business, growing and maintaining trees, shrubs, hedging and topiary. 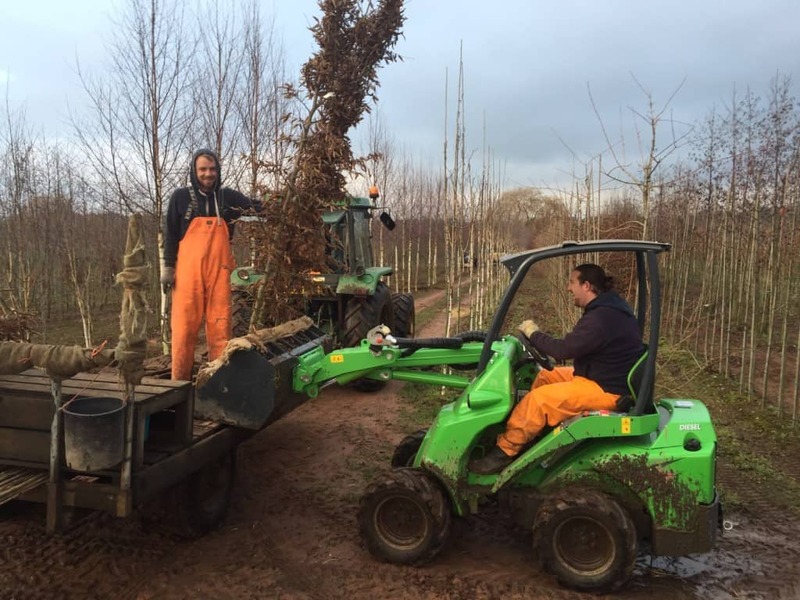 If you are looking for a career in horticulture, love working outdoors and aren’t afraid of the physical work involved in growing, lifting and caring for large trees – get in touch now. 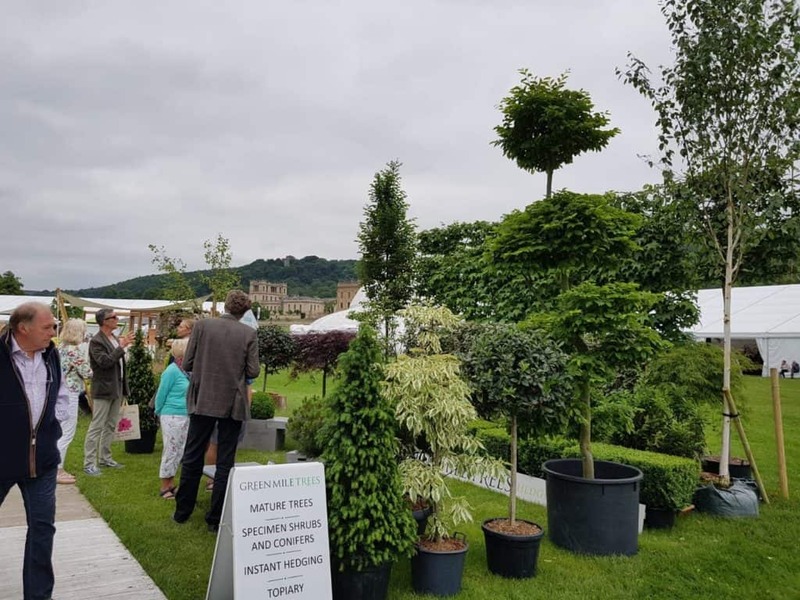 A new event in the RHS calendar and in a spectacular setting in the grounds of Chatsworth House, we were privileged to be able to display our mature trees at the RHS Chatsworth Flower Show this month (7-11 June 2017). 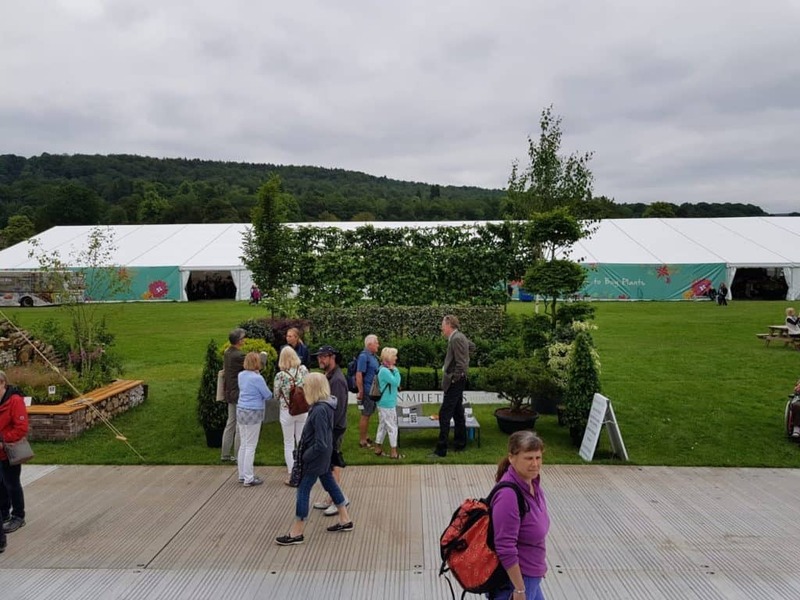 A fantastic opportunity to meet so many garden enthusiasts at once, we really enjoyed the experience plus there was a superb array of stalls, stands and displays of interest. 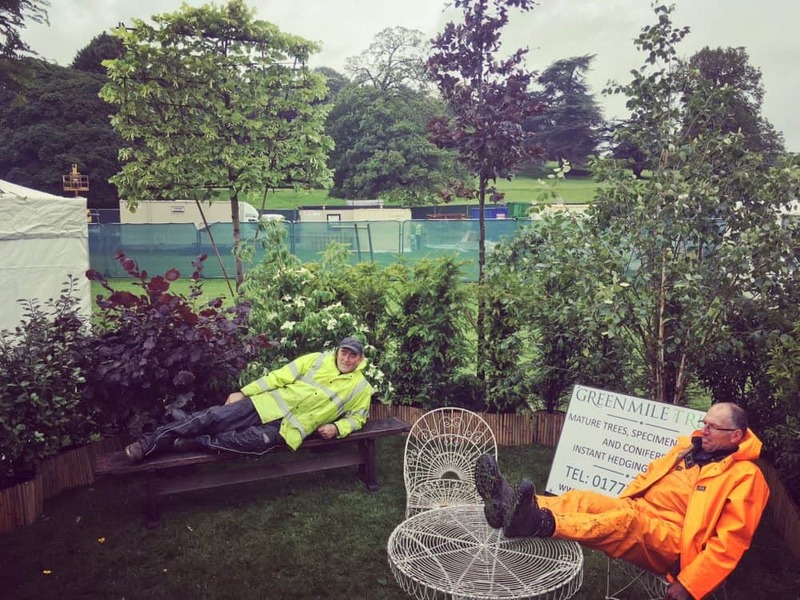 Hard work, this exhibition lark…! 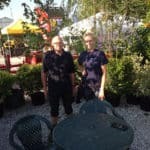 We were greeted by a healthy amount of visitors to have a look at our larger trees in containers, with some faces we knew and some we were meeting for the first time. 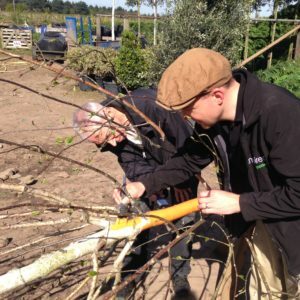 Topics on people’s lips were hedge planting and mature tree planting – both of which we could cater for. 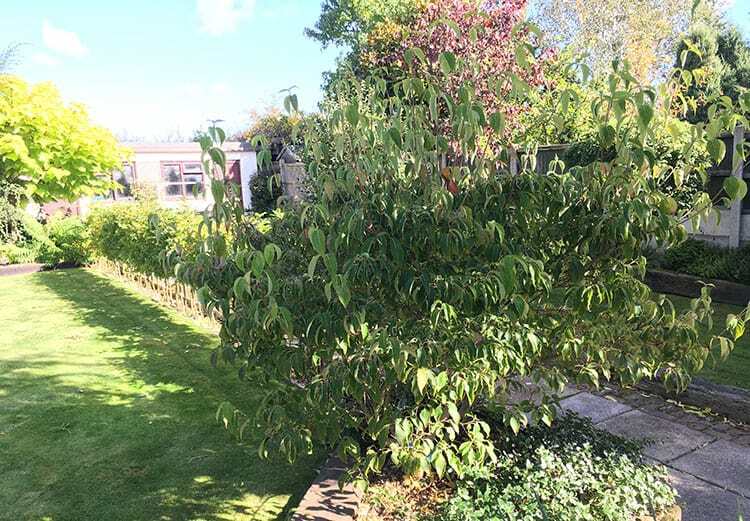 Our Cornus Kousa ‘Milky Way’ shrub was a real head-turner and drew a large amount of interest from those passing by. 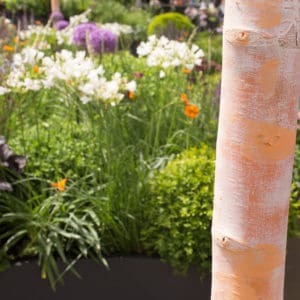 The UK weather threw everything at us – rain, high winds and a fair spattering of sunshine – but overall, the UK horticultural world shone brightly – particularly those designers and landscapers who created some stunning gardens. 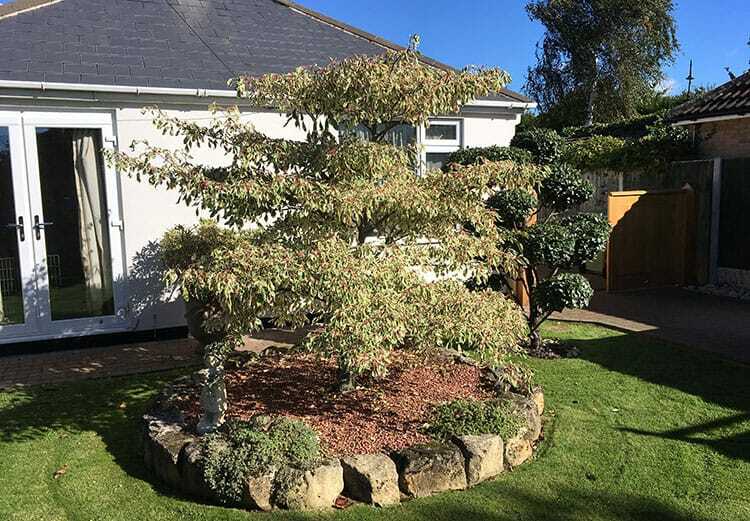 We would also like to extend our hearty congratulations to Lee Bestall for winning a Silver Gilt for his excellent planting scheme, too. Where to next? Catch up with us on show at Fouroaks (5 & 6 September) and Southwell Ploughing Match (30 September). 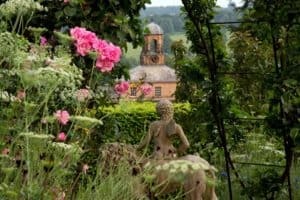 You can find us right in the heart of the brand new RHS Chatsworth Show from 7-11 June 2017 on Stand CHW/241. 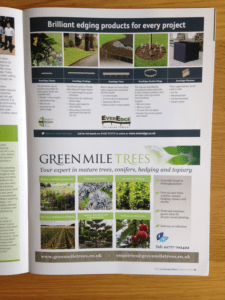 Everything you’d expect from your trusted grower and supplier of large container trees for gardens, estates and landscapes – and always a little bit more. 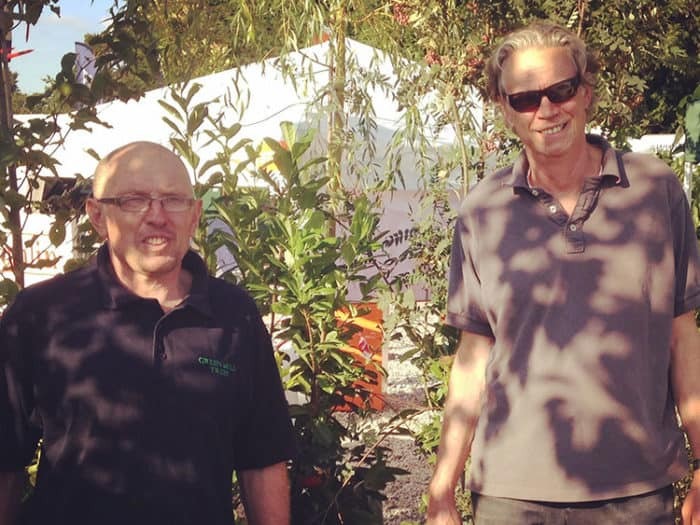 Meet Chris, Xanthe, Paul and the team and find out how we will fit it all in! 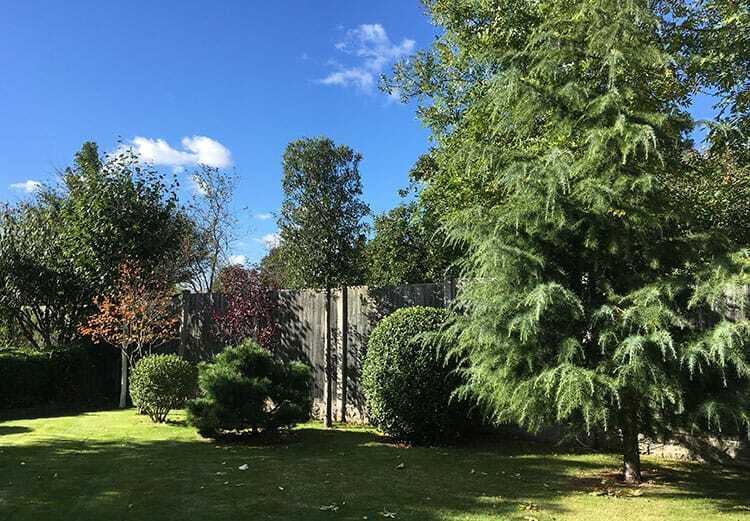 Large container trees, topiary, hedging, shrubs and conifers – a real “tall” order! We hope to see you at the show. 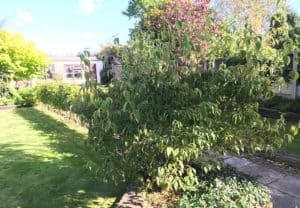 Watering Trees: When, where, why and how much? 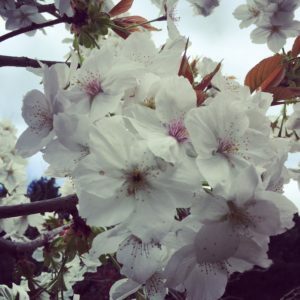 You’ve invested in some beautiful trees, lovingly planted them. Now what? 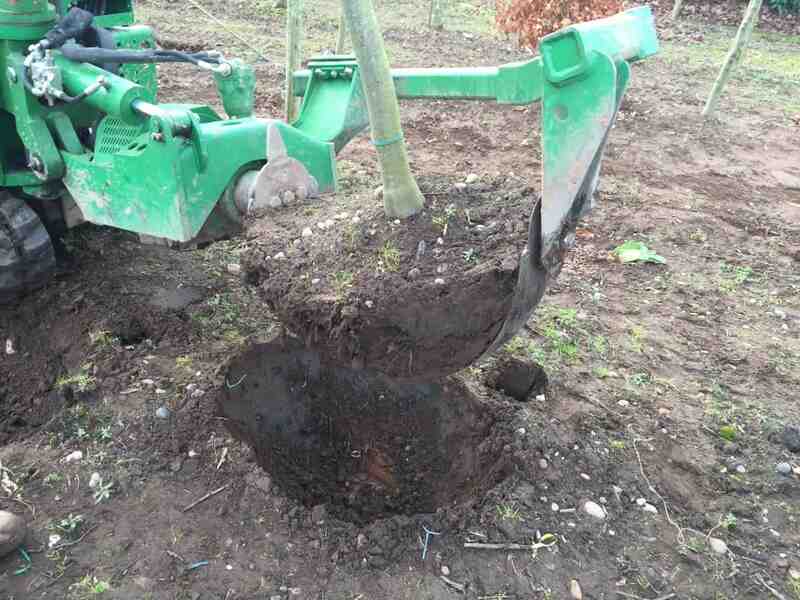 Don’t give into one of the biggest causes of tree failure by leaving your trees to fend for themselves once they’re in the ground. Like most things in life, they need a little commitment in their early days and this will pay you back with healthy, well-established trees in the long run. All they need from you is a little time, water and consideration. If you’ve planted during the winter, there is usually little need to water. 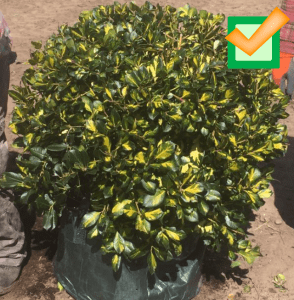 If it’s spring and your new tree is in full leaf, water it at least once a week. A good rule of thumb is four cans per square metre. 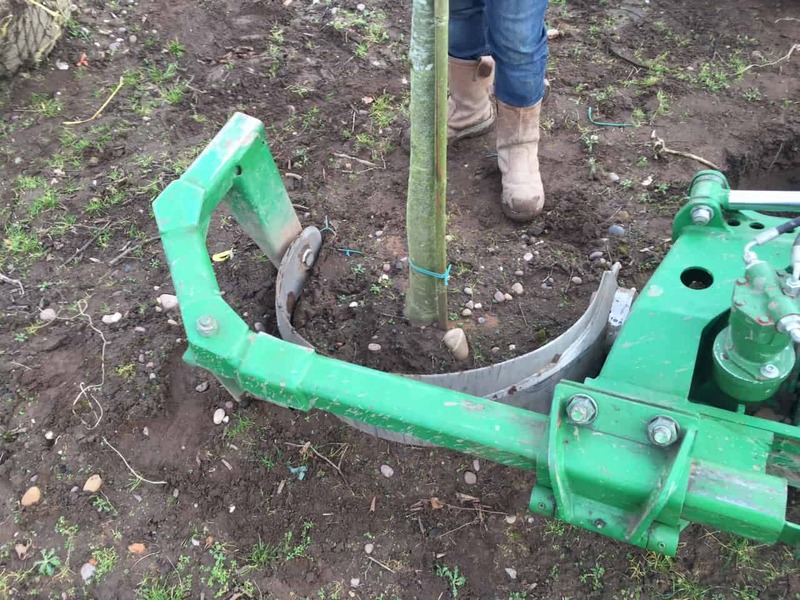 This will give you a thorough wet tree zone around the roots. You can usually tell by feeling how damp the soil is around the tree – if it’s been a really dry spell, you may want to up it to a twice weekly soak. 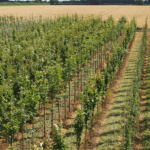 Don’t just rely on rainfall as it may not be absorbed by the soil. Make sure you scrape back any leaves or mulch and feel the soil to check. 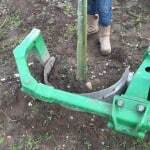 Reduce the water in your tree’s 2nd and 3rd years to encourage its roots to support themselves. 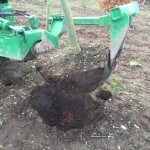 Know your soil type too, as that has an effect on the absorption of your watering by the soil around your tree’s roots. Exposed sites with sandy soil? A little thirstier than a sheltered clay soil site. A thick organic mulch layer (10-15cm) will help keep the moisture where it’s needed – think bark chips or compost. You get bonus nutrients seeping in from this organic matter and it helps suppress the weeds, too. No competition for water, please! For the full lowdown on aftercare, check our Help and FAQ section. As you know, we are open by appointment only throughout the week and Saturday mornings. As Easter approaches, we are open this week until Thursday 13th April as usual. On Friday 14th, we’re open from 8am to midday, Saturday 15th from 8am to midday and we are closed on Easter Sunday and Easter Monday. Normal service resumes on Tuesday 18th April 2017. 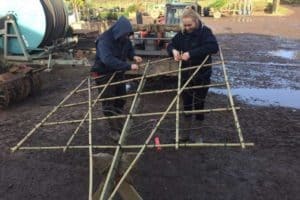 What happens on a tree nursery in February? Plenty. 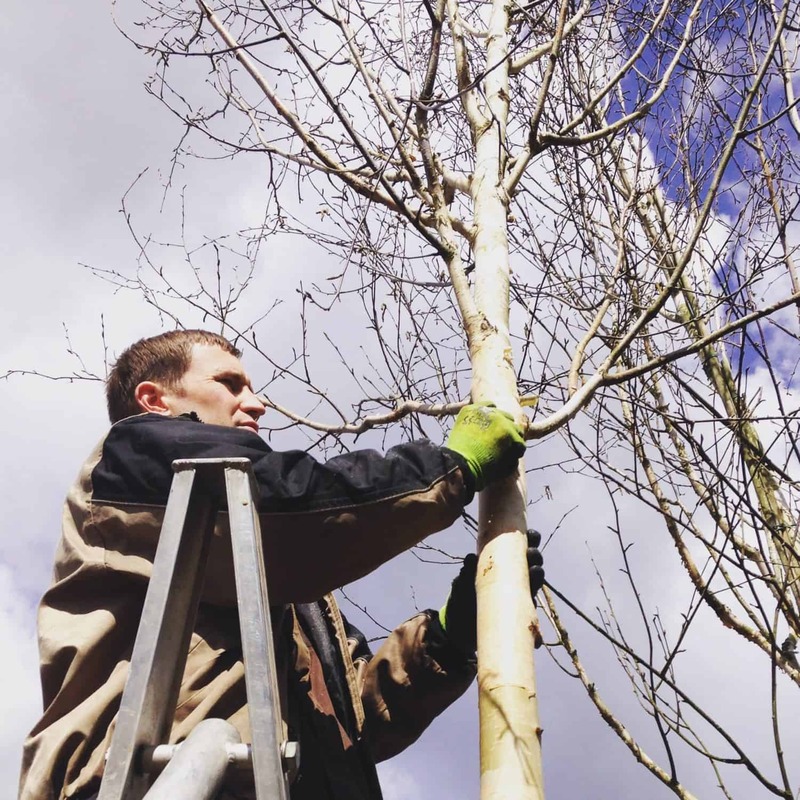 Our lifting season has been a busy one, with countless birch, oaks and ornamental cherries making up the bulk of our daily lifting plans. 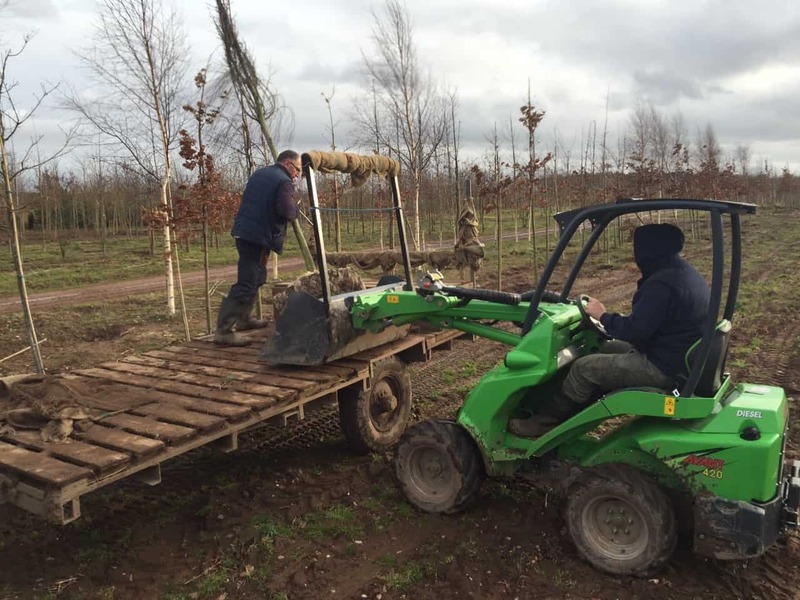 A superb skill for our nursery to boast, and with the pick of the stock to choose from, we’ve also been prepping and taming our pleached trees into frames, ready to fulfil the continued demand we have been enjoying across all of our pleached varieties so far this season. 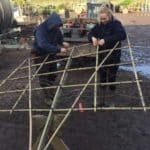 The new container unit is ready to take on its new tenants so we have been picking and potting and preparing the lines for the new tree stocks. 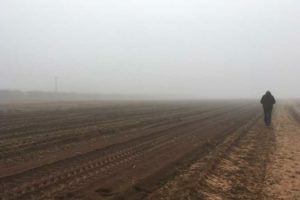 An endless cycle of pick, pot and plant, we have a new field to prepare. Looks a lonely place right now but come the Spring, our newly planted stock will take pride of place. Onwards and upwards! 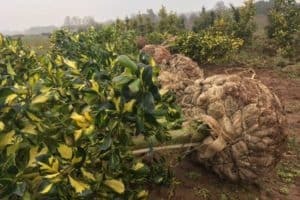 As the first of our field-grown trees are being lifted by the Green Mile nursery team, it seems the perfect time to show you around the nursery in its full autumn glory. The team will soon be out in force, but in the meantime, have a sneak peek around GMT HQ in Nottinghamshire in our latest Youtube video. 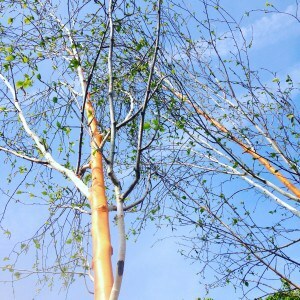 What will you plant this bare root season? Hot on the heels of our horticultural excursion to Four Oaks Trade Show and some excellent networking and business opportunities, we are on the road again this week. 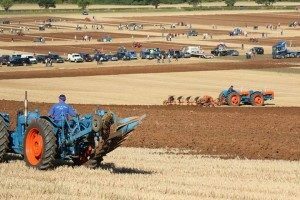 But this time, we’re heading deep into agriculture at the Southwell Ploughing Match and Show, Farnsfield, Nottinghamshire. 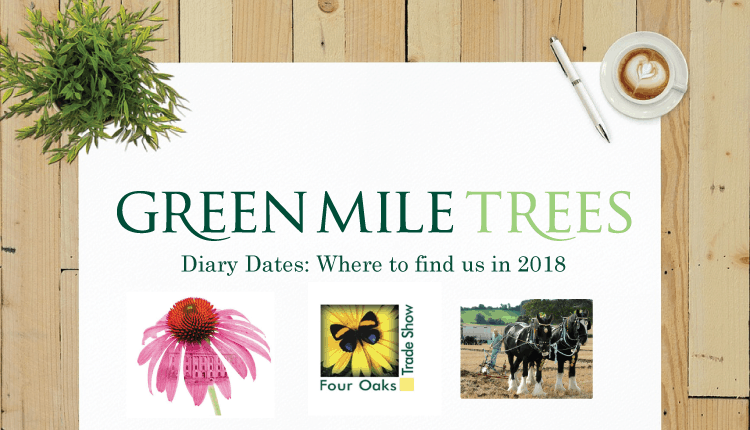 An ever-present event now in our show calendar, we’ll be setting up our backdrop of big trees and welcoming visitors on Saturday 24 September. 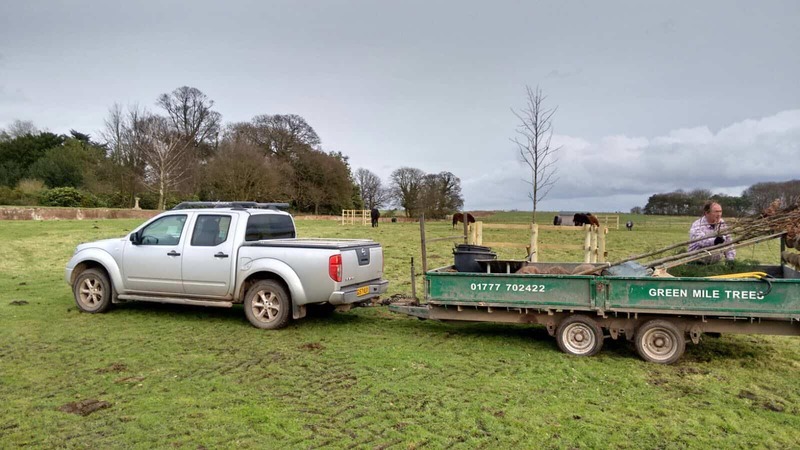 The event, an agricultural feast for the family and all fans of the rural life, the show encompasses horses, ploughing matches and local food, crafts and shopping. We’re expecting over 10,000 visitors to “trot” past our trade stand if past shows are anything to go by. 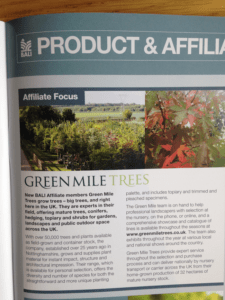 As proud new BALI Affiliate members of BALI – British Association of Landscape Industries, we continue to grow and supply the best British trees for the best British landscapers. To herald this fact, we’ve gained some coverage in the landscaping press. Thanks to BALI News for the write-up and support – the first of many, we hope! Who’s up for Four Oaks 2016? We are! 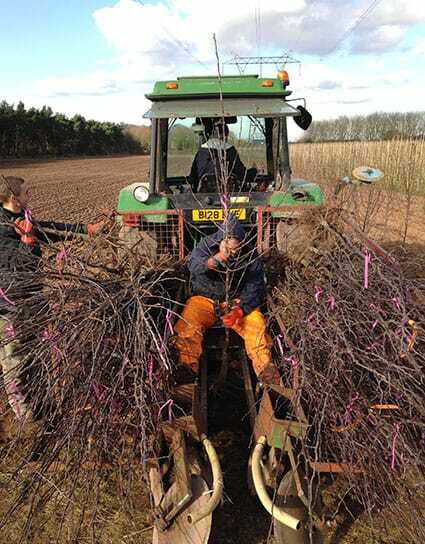 Pruning, caning, tying and a full programme of tree husbandry is under our belts already this Summer. We’d better get busy and start shouting about all the fantastic stock we have here on the nursery, right?! Where shall we start? How about the Four Oaks Trade Show on the 6-7th September 2016 in Macclesfield. 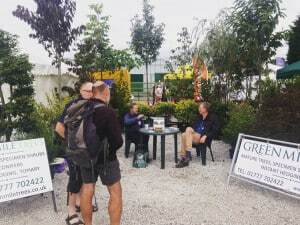 We’ve been exhibiting at the show for 7 years and will once again be taking up our outside pit ch forming a glorious backdrop for the show-of-all-shows in the UK horticultural calendar. 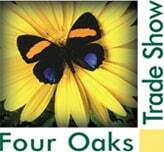 At the Cash and Carry of the same name, the Four Oaks Show is a commercial horticultural show now in its 46th year. In the immediate sights of the Jodrell Bank Radio Telescope, the show area covers an area of 17,000m² under glass but it’s outside where you’ll find us on Stand OP26. 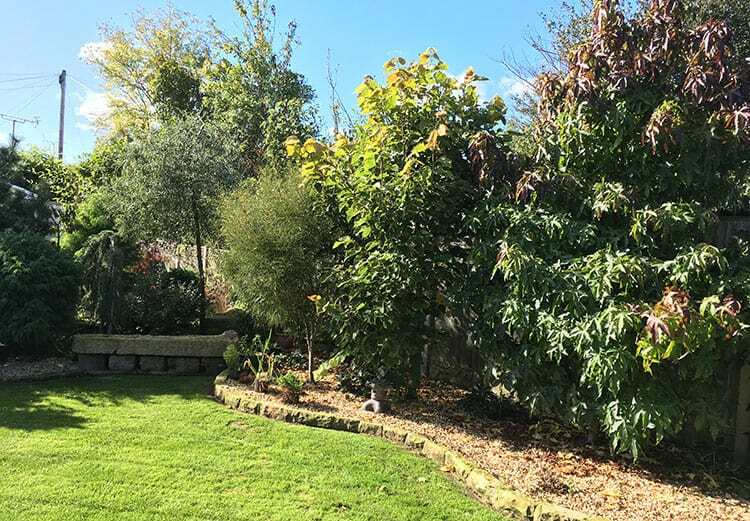 More room, fresh air, and a whole host of our stunning stock and specimens to showcase. And you get Chris, Xanthe and Paul from the Green Mile team as an added bonus! 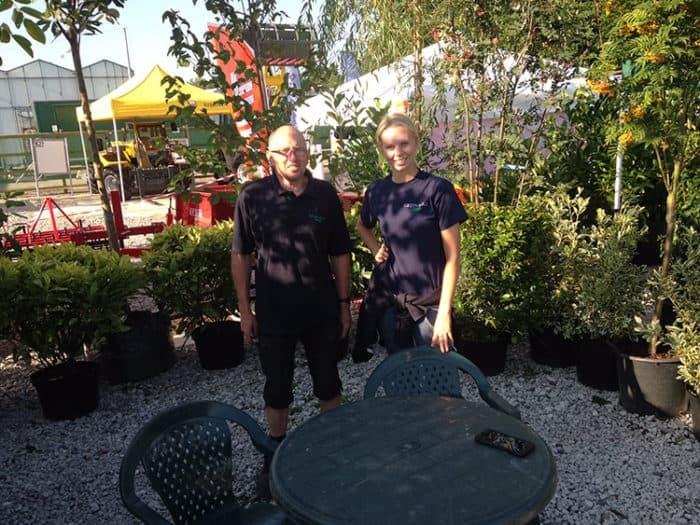 We’ll be there to talk all things Tree on the 6th and 7th September. 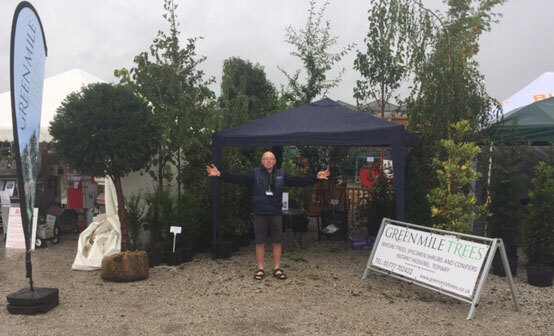 You can’t miss Green Mile Trees – we stand head-and-shoulders above the rest! 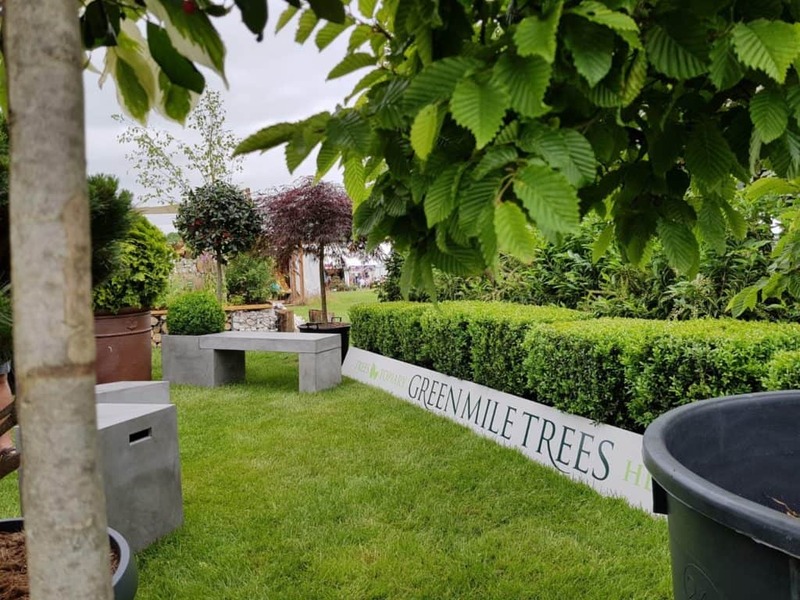 The Green Mile Trees team have been busy these past few weeks, both on the nursery and in preparation for some super shows and exhibitions across the horticultural calendar. 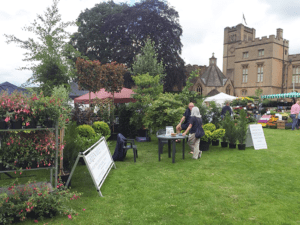 Fresh from our presence at the East Midlands Flower Show at Newstead Abbey, we’re already gearing up for forthcoming events and we will have more opportunities to showcase our trees and stock to agricultural and horticultural audiences. 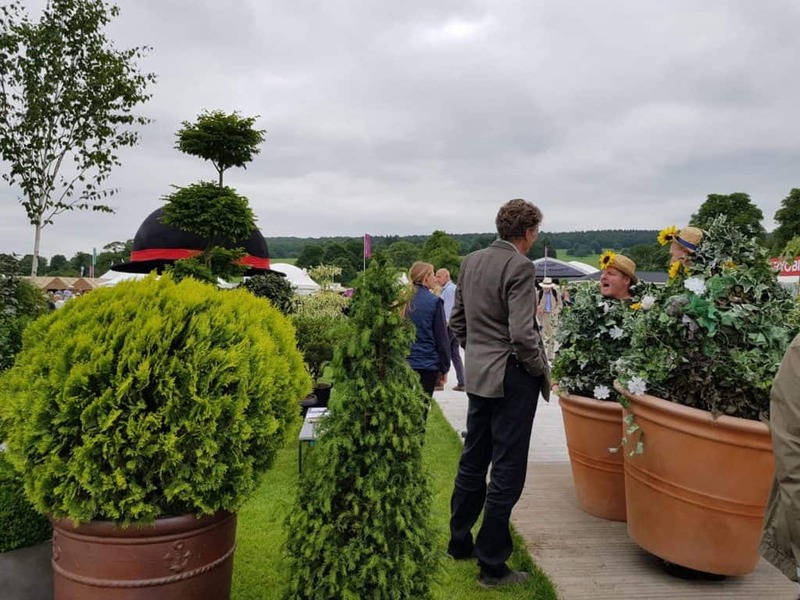 The East Midlands Flower Show is set in the grounds of the picturesque Abbey and we were blessed with decent weather to bring out the crowds and make the Show a great success. 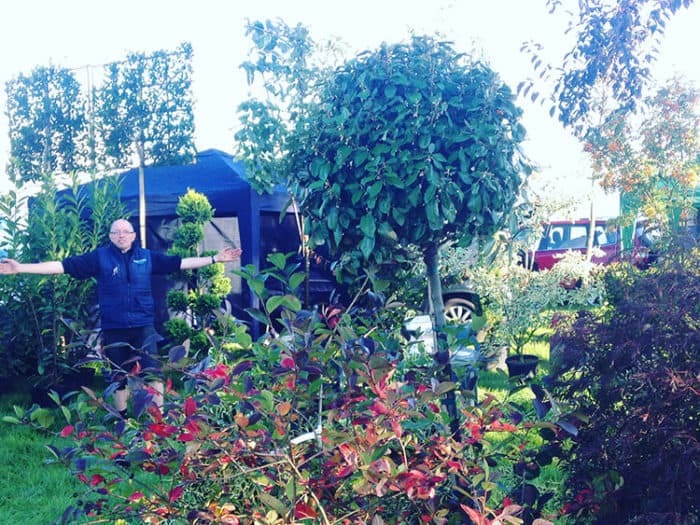 If you’d like to catch up with us on the road this season, we’ll be at the Four Oaks Trade Show on the 6-7th September 2016 in Macclesfield and Southwell Ploughing Match and Show on 24 September 2016 at the Oxton Estate in Nottinghamshire. 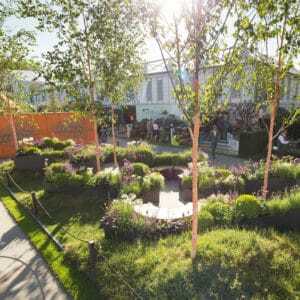 We would like to congratulate Lee Bestall and his team at Inspired Garden Design on winning a Silver Medal for their Urban Connections Garden at RHS Chelsea Flower Show! We supplied them with these beautiful 20-25 Betula Jacquemontii. The bark was cleaned and painted here at Green Mile Trees and then transported to Chelsea. Here’s a few photos we wanted to share with you! Ever wondered what we look like close-up? Here’s a little snapshot – 40 seconds of drive-by, deep in the tree lines in Nottinghamshire. Can you spot one of our Green Mile clan in the background halfway through? 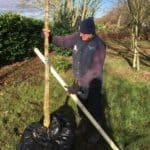 We’ve newly-planted trees a-plenty after a busy few weeks’ tending and replenishing tree stocks for the seasons to come. So what next? Sit back and rest on our laurels? Lie back and think of England? Time out? Feet up? Erm….no. 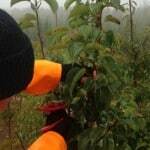 The toils of a tree grower are pretty much never-ending. 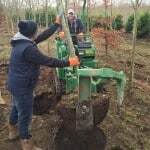 Like the proverbial Forth Bridge, we’re back on the tree planting trail again as we continue to lift and sell trees this season. 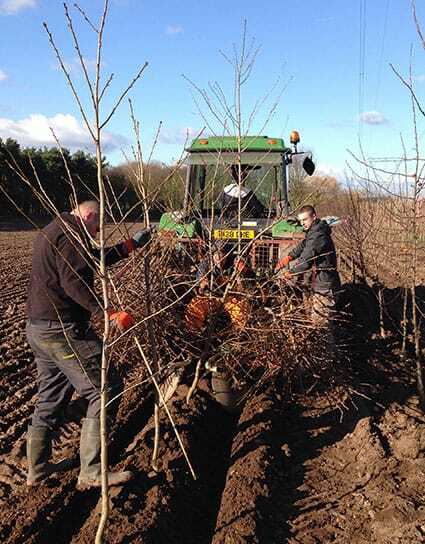 Our production team are now at full pace, planting stocks of new trees in open-ground here in Nottinghamshire. 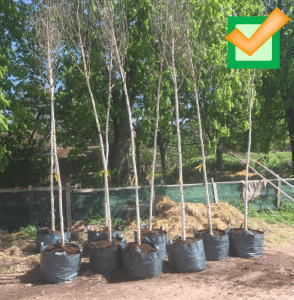 These newly-planted trees will be ready for sale in 2019, so that’s their care and maintenance committed to for the next 3 years, too. 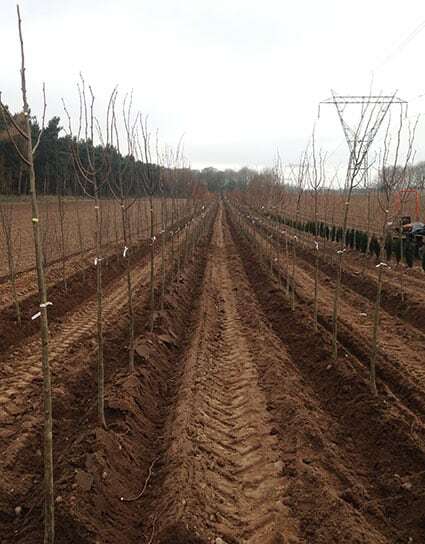 So that’s 10,000 newly-planted trees, every inch of 6 acres of ground covered, sweat, tears (oh yes) and a broad mix of tree varieties, conifers, multi-stems and whips. 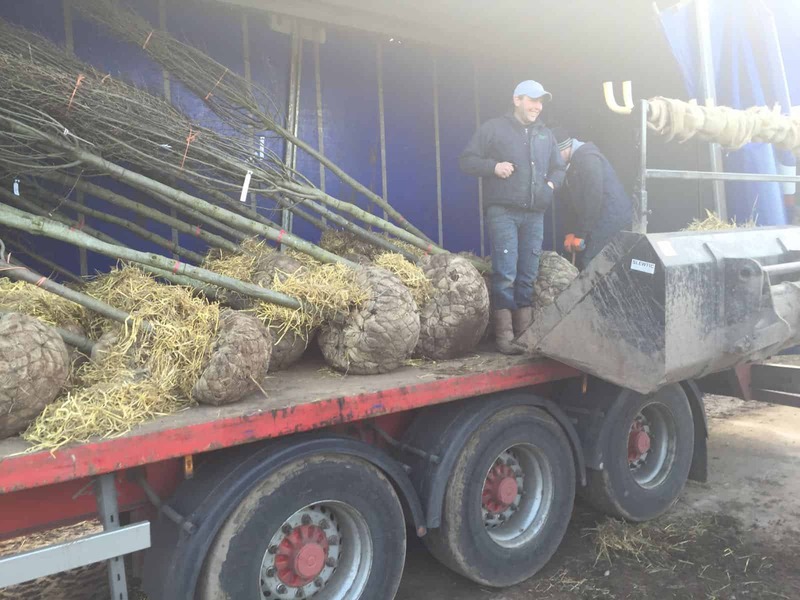 That will keep the Green Mile customers well-fuelled in trees for their future planting plans. Trees. Sometimes you hardly notice they’re there, as you’re so accustomed to the lush green avenues in our cities, or the hedgerows that line our country roads, peppered with mature trees. But what if they weren’t there? Without our lungs, breathing in oxygen and breathing out carbon dioxide, we’d collapse – we simply couldn’t survive. 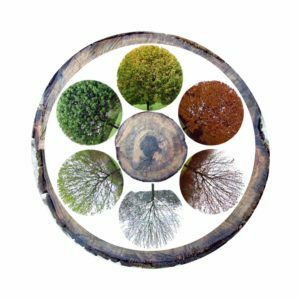 Think of our trees as the Earth’s green lungs – filtering out all the impurities and turning carbon dioxide into clean, pure oxygen. The more we plant, the stronger this carbon cycle, and the greater the wildlife habitat, replenishing and rejuvenating nature and helping keep our climate healthy. 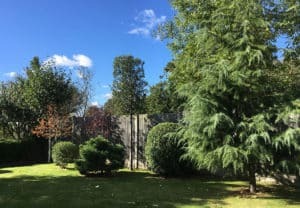 Not only are trees beautiful (we wouldn’t swap the British countryside for anything) and they clean the air, but they have can improve our health and reduce crime, too. Studies show a patient gazing onto a green, lush vista filled with trees helps them heal faster. A natural, green environment helps concentration and reduces fatigue, too. Consider our urban environments – what would you rather see in our cities? A bare, barren wasteland or a parkland, planted public space or an avenue of trees? 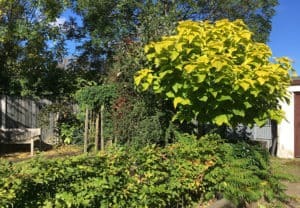 Not only do planted neighbourhoods have lower crime rates, people gain a greater sense of pride in their community if their landscape is tended and natural. 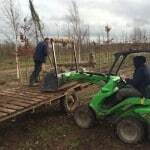 Throw in the economic benefits of timber production, wood for fuel and crafts. 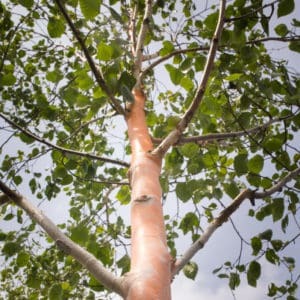 Think of how trees can be a simple and effective source of income by planting on unused and uninhabitable land. A woodland can cost less to manage than open space, too. 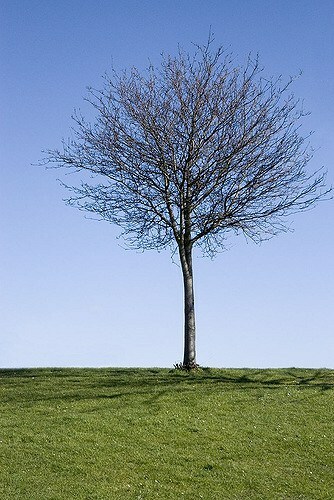 Our humble trees become of vital importance in the well-being of our health, economy and sustainable outlook. Everyone loves a new bit of kit, and we’re no different. 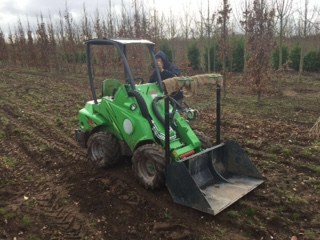 The Green Mile Production Crew have been enjoying the full benefits of their brand new Avant 420 Loader this lifting season. For the techies amongst you, that means a lift capacity of 550 kg, a 20 hp diesel engine, a lift height of 2.8 metres and a maximum speed of 12 km per hour. Phew. You saw how we lift, twist and load – this tractor now brings some extra oomph for getting our trees out of the rows quickly, safely and efficiently. 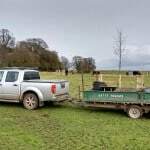 The trees are put on to the trailer and taken to the yard. There, they either loaded delivery or collected by a customer with their own vehicles. Either way, a new toy <ahem> tractor, has made the team smile. 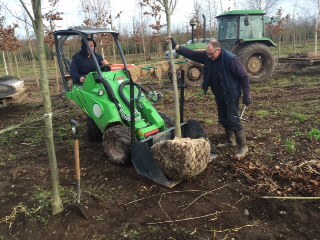 Working well and making the lifting of heavy trees a breeze, we bought this from Fentons of Bourne. Smiles all round. We’ve been lifting, twisting and loading since November (with the odd day off for good behaviour). All the trees that have been lifted from our nursery are now taking pride of place in someone’s landscape, garden, park or public open spaces. And you know what the weather’s been like this season: peculiarly warm start but otherwise wet, windy and wearisome. That leaves us with wet, heavy soil which makes for extra fun when lifting. 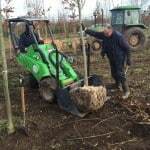 In amongst the wet and the wind, we’ve kept tabs on our total lift and it’s well over 7,000 trees. That’s an average of 80 a day but some days we’ve reached as many as 150. Phew. 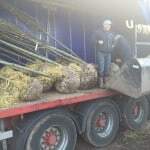 The 8-strong production team help lift, twist and load the trees, some over 5 metres in height, using specialist rootball and bare root tree lifting equipment. Here they are in action – imagine this 150 times per day?! 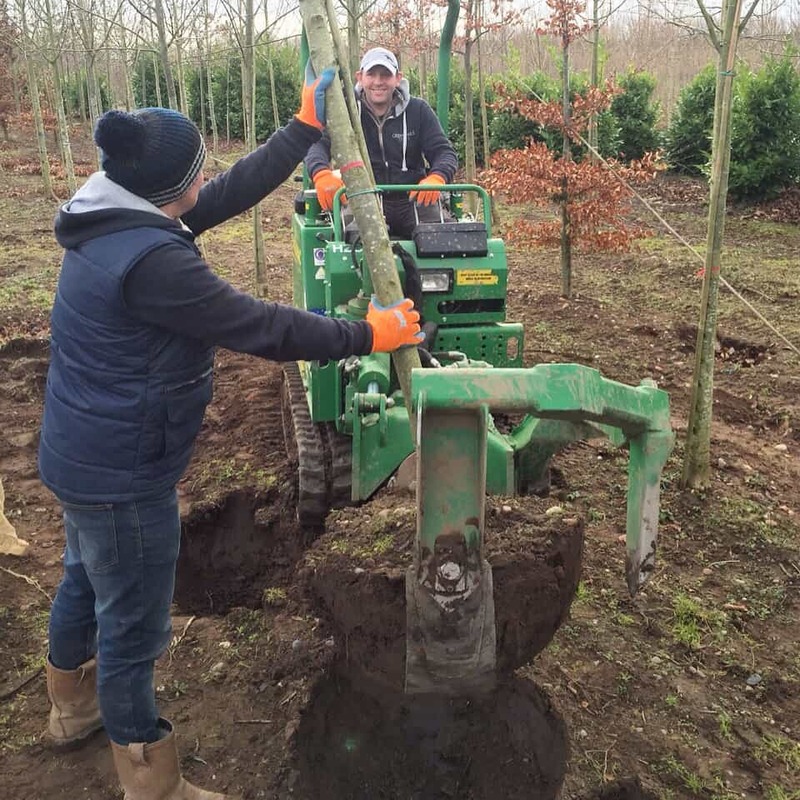 With around 6-8 weeks left of lifting, will your trees be on our lifting list this season?